It didn’t take long for Nicke Andersson to find his feet again after the split of THE HELLACOPTERS back in 2008/2009. After spending a majority of his musical career as the band’s main man, not to mention his earlier days as the drummer for death/grind metal act ENTOMBED and his other numerous current projects, all would be forgiven if he wanted to take some time away from music. But like all good rock stars, Andersson was already putting the initial plans in place for what would be the 2010 self-titled debut for IMPERIAL STATE ELECTRIC. 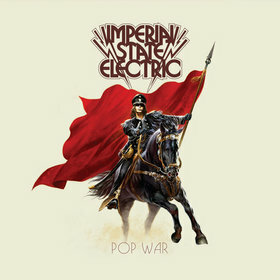 For whatever reason I have to admit that album didn’t really grab me so I couldn’t lie and say that I was excited about POP WAR, but being wrong is something I don’t have a problem with if the result is fantastic albums like this one. Andersson has never been shy about showing his influences, but while his music with THE HELLACOPTERS had a more punk rock backbone, this stuff is pure seventies inspired glammish classic boogie rock, with a clear nod to CHEAP TRICK and early KISS. I also note elements that reminded me of STEVE MILLER BAND and also some slight SLADE influence too. Sure plenty of retro rockers have attempted this sort of thing over the last decade or so but it’s always clear when your dealing with a bunch of musicians that truly love this type of music. The production values here also add to the charm of the album, and whilst there still a definite modern feel in terms of aural quality, the analogue sounding mix-down itself is very seventies and would sound very authentic through a turntable I’m sure. The twin guitar sounds great and the lead breaks really do have that classic rock squeal about them. The occasional cowbell in the drumming is very welcome too and is something that is sorely missing in most modern iterations of rock music. The slight echo on the vocals reminds of Steve Miller, Paul Stanley, Marc Bolan and Robin Zander, and like all good classic rock records the bass guitar work is great when it is occasionally prominent but also knows when to lay back and let the lead section take the stage. Gems like opener UH HUH, the Beatle-esque CAN’T SEEM TO SHAKE IT OFF MY MIND, the early ALICE COOPER BAND sounding WALTZ FOR VINCENT, the STEVE MILLER BAND/SLADE sounding THE NARROW LINE and the short, sharp MONARCHY MADNESS are all essential listening for anybody claiming to fly the flag for seventies-inspired rock music. The rest of the album also offers up some more genuine great classic rock and in fitting with the theme the disc finishes quickly and never overstays it’s welcome. I could go on and on about why poeple should be listening to these type of bands, but really it’s simple…IMPERIAL STATE ELECTRIC simply “get” what it is to be a seventies rock inspired retro band and do it well enough to keep any fan of the style more than happy. With yet another stunning album under his belt, the time is due now for the wider rock world to recognize Nicke Andersson as one of the single most important people in the game at this point in time. On a quick side note too… The artwork for this record is fuggen awesome and is surely a contender for album of art of the year! 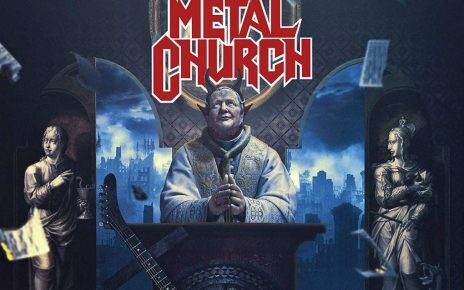 ‘Damned if You Do’ is record number two of Metal Church after the legendary Mike Howe rejoined the band in 2014. The return of Howe, who already enriched albums like ‘Hanging in Balance’ with his great voice, gave a real push for the powerhouse. Deep Purple, a band who defined a new genre of Rock and an even bigger definition of what it takes to play live Rock n Roll are back with a 70 minute album ‘Long Beach 1971’. With 4 of their classic hits remastered in this magical live recording Deep Purple fans can get ready to be transported back in Time to the Long Beach, California Concert in 71.